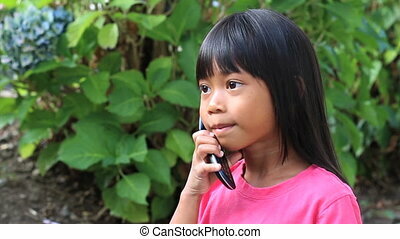 Asian woman talks on tablet. 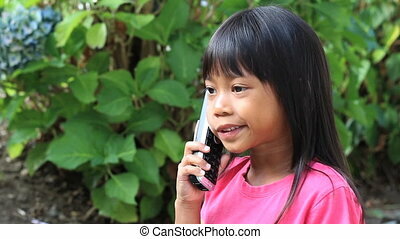 A pretty asian woman enjoys talking to her friend using her new pc digital tablet in bangkok, thailand. 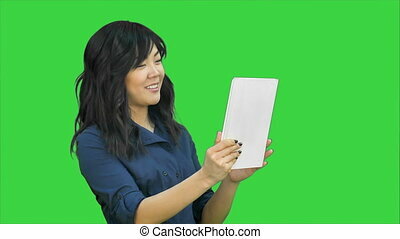 Asian woman look to camera, talking and holding digital tablet on a Green Screen, Chroma Key. Professional shot in 4K resolution. 080. You can use it e.g. in your commercial video, business, presentation, broadcast video. 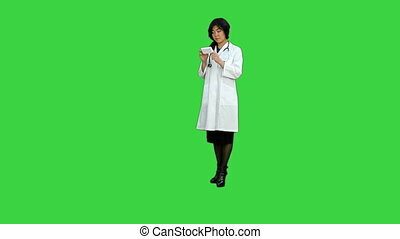 Friendly asian doctor woman working with documents and new pills on a Green Screen, Chroma Key. Professional shot in HD resolution. 080. You can use it e.g. in your commercial video, business, presentation, broadcast video. Young business woman with tablet computer presenting project looking at camera on a Green Screen, Chroma Key. Close up. Professional shot in 4K resolution. 080. You can use it e.g. in your commercial video, business, presentation, broadcast video. 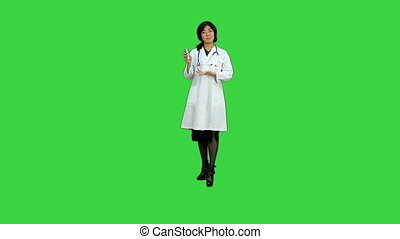 Surgeon woman doctor smile using tablet pc and talking to a camera on a Green Screen, Chroma Key. Professional shot in HD resolution. 080. You can use it e.g. in your commercial video, business, presentation, broadcast video. Cheerful young diverse women networking with digital tablet in blooming spring park while sitting on blanket on park lawn. Happy girls browsing social networks with tablet pc while relaxing otdoors. 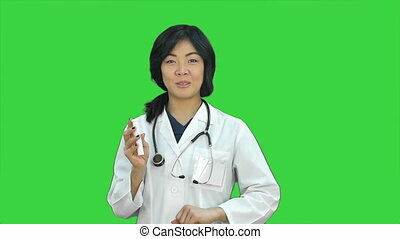 Asian female doctor holding the pill box on a Green Screen, Chroma Key. Professional shot in HD resolution. 080. You can use it e.g. in your commercial video, business, presentation, broadcast video. 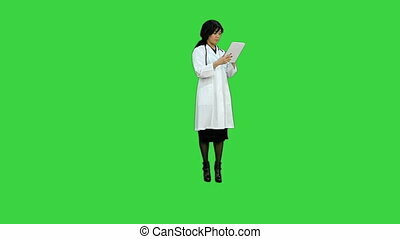 Doctor woman looking at box of pills on a Green Screen, Chroma Key. Close up. Professional shot in HD resolution. 080. You can use it e.g. in your commercial video, business, presentation, broadcast video. A father plays games on his digital tablet with his cute 7 year old Asian daughter. 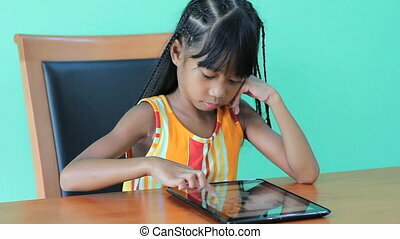 A cute little seven year old Asian girl has fun playing games on her new digital tablet.